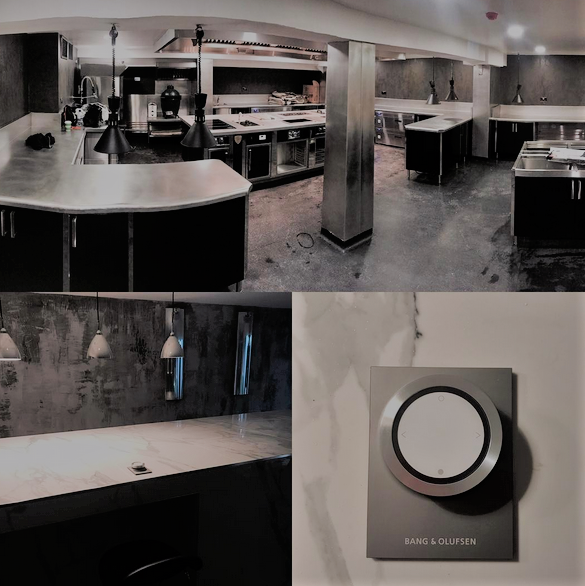 It’s been a privilege to work with Michael O’Hare to create a stunning Bespoke Suite for his Michelin-starred glagship restaurant Man Behind the Curtain. The restaurant was moved to the ground floor of its existing Leeds building in September to a site that is double the size to allow direct entrance at street-level. We were contacted directly by Michael, then worked with Monarch Catering to realise Michael’s vision for an “edgy, punk rock” feel for the restaurant. Charvet Bespoke Suites provide Chefs with exquisite craftsmanship without comprimising style — ensuring they have equipment that matches their way of cooking that will last in the future. Matching countertops fabricated by Monarch but polished to Charvet Vibro finish to match the suite. Cupboards are also matched to the same colour finish as the suite. To find out more about our Bespoke Suite, please click here.